KP: David! I couldn’t believe it when I realized that it’s been eight years since our last interview! We have some catching up to do! How are ya? KP: Life seems to have a way of doing that to us! I think the best place to start this interview is with your new album, In the Soft Light of Grace. It’s been almost four years since you released Winding Down, so I’m sure your many fans are anxious to hear what you’ve been up to musically. First, where did the title come from? DN: The title came as a result of how the music itself finally came about. I really struggled to write anything meaningful after Winding Down for a LOT of reasons. These last 3-4 years have been a challenging season of life for me, both physically and emotionally. Musically, I went through periods of both *not* wanting to do anything (and not even caring, honestly) and then wanting to, but feeling like I had improve upon everything I had done before. So even when I did manage to sit down to compose, I was STRIVING to make something meaningful happen.... and of course, the result of that was that everything felt forced. So... after a year or two of trying to MAKE something happen, I decided to stop "trying" altogether. I just gave it over to God in my prayers, and decided to let it go, knowing that whatever will be, will be. That's when the theme of "grace" started to enter into my mind. I realized that I had been trying to do it all (not only my music, but my day to day life) under my own strength... and I came to recognize that as a big part of the problem, because frankly, I just didn't have the strength to do it. Then, I felt like God gave me this mental picture... I saw myself walking around in the dark, desperately trying to shine my light brighter and brighter so I could see better... but the very act of my trying to shine brighter prevented me from seeing the lighted path God had already provided. So in a sense, without meaning to, I was trying to "outshine" God, as if His light wasn't enough. I came to realize that I needed to be willing to be OK with being in "the dark" as I perceived it. Once I did that.... once I turned off my own light, in a manner of speaking, I started to see His. I stopped trying and started trusting... and then the music started to flow. That more or less sums up the theme of the album and where the album title comes from. It's from that picture. Being in the soft light of grace... means trusting in God's light and not your own, because the minute you start shining your own light around, you lose sight of His. It's a "trust walk" with God, hence the opening track, "Walking in Trust," which is sort of an overture for the whole album in my mind. David at The Wildish Theater in Springfield, OR. KP: Wow! That’s a pretty amazing series of revelations, and you must have gone through a lot of spiritual growth while experiencing it all. I’ve heard all of your albums many times and have reviewed almost all of them, and I found that the music on this album is quite different from your previous albums. It seems freer and more internal. I know everyone’s music changes as life itself changes, but I’m not sure I would have recognized it immediately as your music. What’s different about how you approached this album? KP: I’d never say you’re predictable!!! And I mean that in the best of ways! DN: Of course! Anyway, regarding my approach... I think the music is freer because I didn't "try" so much. I just let the music come to me however it wanted to. I made the conscious decision not to worry about whether or not I was writing something "musically clever" and gave myself permission to just keep the music as simple as it wanted to be. So... I didn't overthink it. The wonderful thing is, even though I took that simpler "don't overthink it" approach, I ended up with something really unique, and even a couple of "clever" things! I know this album has a really different vibe... it's not Winding Down, that's for sure, or Overcome or anything I've done before. It almost feels like this album represents the "pauses"... the space between active thoughts, or maybe better to say, "the space between worries." You know when you're hiking and it's a beautiful day, the sun is shining and then a breeze comes, hits you just right, and you suddenly feel really "in the moment”? Moments where you feel like... "I'm alive, I'm here, I'm warm and safe and thankful and everything is going to be OK." That is sort of what the album is for me, I guess. It's just a collection of moments like that. Unplanned, unpretentious, just "I'm thankful and happy to be here right now and I'm content in this place" moments. KP: So in that way, you were able to create something that IS quite different from any of your earlier work and that happened more naturally. KP: In the liner notes of the CD, you shared a lot of personal information about your struggles of the past several years. I really admire and respect that you were willing to do that. Do you want to talk about some of that? DN: Sure. I had a hard time deciding whether to share all that. I wondered if I was being too vulnerable or if I should cut it down or make it a little more broad and less personal. I was especially concerned that it didn't come across as "oh, poor me" or something, so I was mindful of that. That being said, I knew I had to share some aspects of what's been going on with me in the liner notes. I couldn't very well convey what the album was about without sharing the why and how of it. I had to express where I've been in order to show what I've learned, where I see myself going and the events that led to the music. And then, of course, the whole point of my music, ultimately, is to encourage others... and you can't very well do that if you're not willing to open up and let people see who you are and what you're going through. I know there are listeners who will read those liner notes and feel like "this is where I am right now" and maybe some will be encouraged by my own journey. My sharing all that will help others be able to relate to and put themselves in the music. KP: Exactly. I also believe it can be very healing to open up like that - for both the person who is sharing and with the people who read it. Have you set a release date for the album? DN: May 14th is the official date! You can pre-order the CD now on my website... or the digital versions on iTunes or Amazon. And you can pre-save it on Spotify. 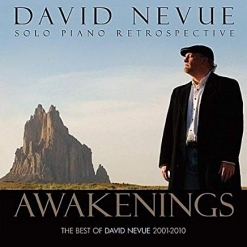 All the links are there at my web site at DavidNevue.com. KP: Here’s the link to my review. You dedicated In the Soft Light of Grace to the memory of your mother, Dianne Nevue, who passed away last August. As I mentioned in my review, an artist’s best work is often a result of difficult times. This album is a wonderful tribute to her and I do think it’s one of your best albums. How long did it take to write the thirteen tracks? 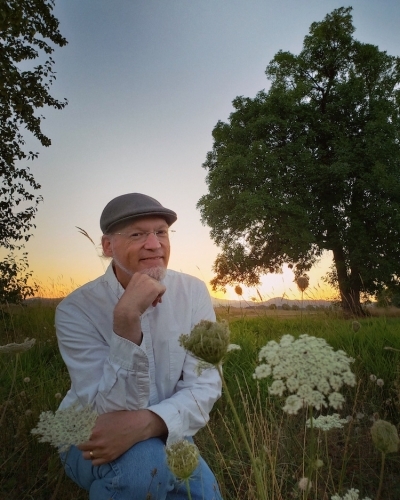 DN: Let's see... the first two tracks that I wrote specifically for the album were “Walking in Trust” and the title track, “In the Soft Light of Grace.” That would have been April-May 2017 or so.... somewhere around there was the starting point. Everything after that is kind of a blur. I can tell you that “At Last Light” was actually written for Winding Down many years ago. I wasn't happy with my previous arrangement/recording of it and it was cut from that album. I rearranged and rerecorded it while in the studio for Soft Light of Grace just to see if I could improve upon it, and I'm glad I did as I am so very happy with the new version! The song fits better on this album anyway, so that turned out for the best. Also, “The Wind Blows Where It Wishes” and “Everpresent” were both composed and recorded in the final studio sessions, which were just this last July/August, so those were late additions and the last two songs written and recorded for the album. So... I guess that spans a period of about 16 months if you don't include “At Last Light.” I would say though that the majority of the album, probably ten of the thirteen tracks, were written over a 3-4 month period during the first half of 2017. All in all, it took me just over two years from the first writing to the final release. No review for this one! 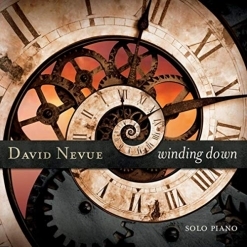 KP: My favorite piece on your Winding Down album is “Clockwork,” the duet you co-composed with Neil Patton. It was the only time I’ve named a “Song of the Year” from an album, but that piece is SO GOOD that I just had to. I’ve worked on that duet with a few of my more-advanced students and have played it with two of them in recitals. I also played it with Neil when he was here for a concert, which was fun! How did that piece come about? KP: Are you and Neil going to do any more duets? DN: We have talked about it and I know we would both like to, but we are both so very busy with our own projects and lives. I do believe that that if inspiration hit at just the right time, we would pursue it. I know we are both open to it, should it happen. We are good friends. I just love that guy... and we only live about fifteen minutes away from each other, which is convenient! KP: Neil is one of my favorite people! An amazing pianist, too! 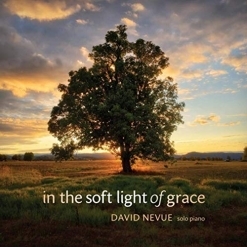 In the Soft Light of Grace is your sixteenth solo piano album, not counting any compilations with other artists. All of them are quite different from each other. Do you have a favorite album of yours? DN: I have always been very partial to my fourth album, The Vigil. KP: That’s the first of your albums that I reviewed - in 1999!!!! It seems like The Vigil really got your solo piano career rolling. DN: Yea, that's right. After releasing The Vigil,, I realized that maybe - just maybe - I could make a career out of doing music. I always viewed it as a side hobby prior to that... something I loved doing, but did just for myself, really. When the music started taking off and growing with the "whole Internet thing" that was happening in the late 90's, it was quite a happy surprise to me. 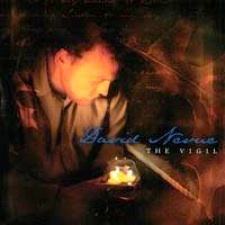 Just two years after releasing The Vigil, I quit my day job and starting doing "the business of music" full time. KP: Are you going to be touring with this new release? DN: Well, as you know I haven't toured in years... for a lot of reasons. With this release I am considering putting a couple very small tours together for the fall just to get my feet wet again... and then we'll see. If the fall shows go well, I might continue setting up short tours into 2020. So yes, touring is very much on my mind, even if it’s just doing a few shows at a time. KP: I know you have sheet music for In the Soft Light of Grace. Will it be released at the same as the recording? DN: No... I'll release the sheet music later, a few pieces at a time. I haven't had the time to look them all over yet, and if I wait until I do have the time, I'll never get the album out. So... I'll release the album first and then follow up with sheet music later. That's what I've always done and I'm OK with that. KP: In addition to your solo piano career, your other musical “claim to fame” is as the founder of Whisperings Solo Piano Radio. We first met in person in 2003, and I remember talking with you about your vision for Whisperings before it was even officially launched. It was such an amazing concept and so different from anything I was aware of at the time. 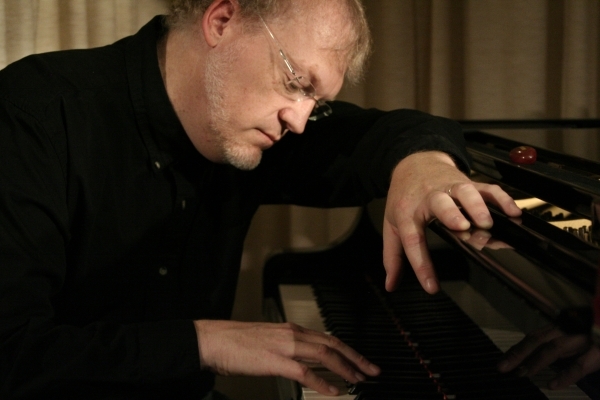 It still blows me away that your vision was so clear and that Whisperings has grown to be an international group of solo pianists whose music is often quite different from one artist to the next, but who share this common goal of reaching people with their music in a positive way. 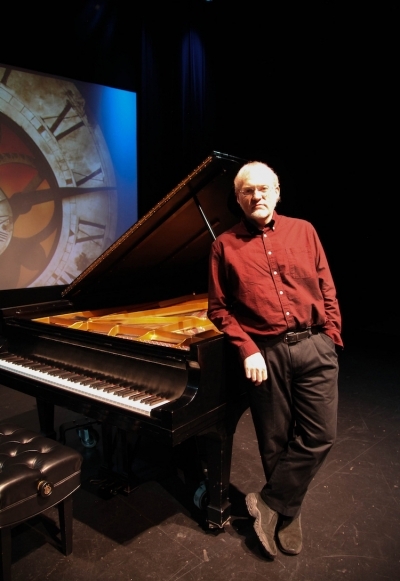 How did you come up with the idea for a solo piano internet radio broadcast? DN: As they say, "necessity is the mother of invention." Back in the early 2000's, there weren't many radio stations that played my style of music, so I decided to create my own. 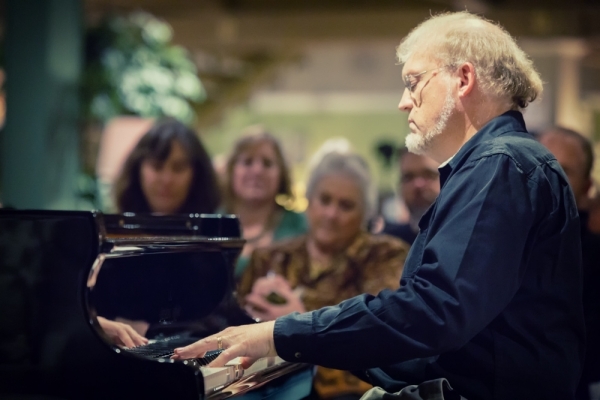 To create a radio broadcast with enough variety to make it appealing, I knew I needed other music too, so I started seeking out other pianists who were playing music in a similar style to mine. 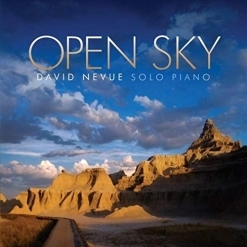 I remember being worried that I wouldn't find enough pianists like me who were writing this kind of music. That idea seems so silly now! I can't keep up with all the music that comes in. I know you know all about that. So... that's how it got its start. 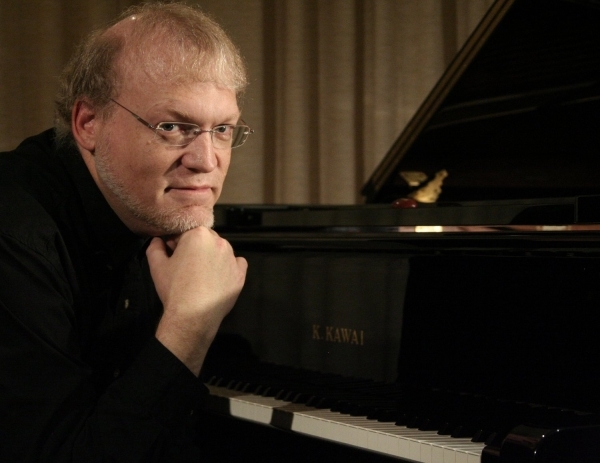 KP: I remember you sending me an email asking if I would tell some of the pianists I was reviewing and/or already knew about Whisperings to see if they would like to be part of the broadcast. It has been very exciting to be a small part of that and watching it grow. I’ve kind of been “lurking” in the background for quite a while! DN: Yea, you are actually a very important part of the Whisperings community, and you have been so very supportive from the start. I am so grateful for our friendship! KP: Me, too! It is truly inspiring to see how supportive the Whisperings Artists are of each other and how quickly they are able to help and encourage each other. You’ve created a wonderful thing, David! DN: Thank you. It has been a blessing and help and encouragement to many. Another big surprise was the recent article in Rolling Stone that featured you, Michele McLaughlin and several other pianists! How did that come about? DN: I believe Rolling Stone contacted Michele McLaughlin first, and then she included me on a list of other people they should talk to. I will always be so very grateful to Michele for referring them to me. What an amazing thing to be included in Rolling Stone as a piano player! KP: I ‘m sure that article has gone a long way to help the “cool” factor for solo piano start to soar! DN: Yep. I always wanted to be cool. Now... my kid's friends know me as "that cool old dude who plays the piano." KP: Haha! It’s about time! Very best wishes on the launch of your new album! Thanks for taking the time to chat! It's always a pleasure! 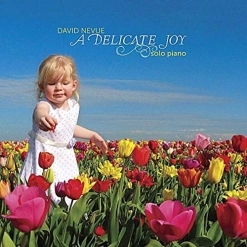 For more information about David Nevue and his music, be sure to visit his website and his Artist Page here on MainlyPiano.com.